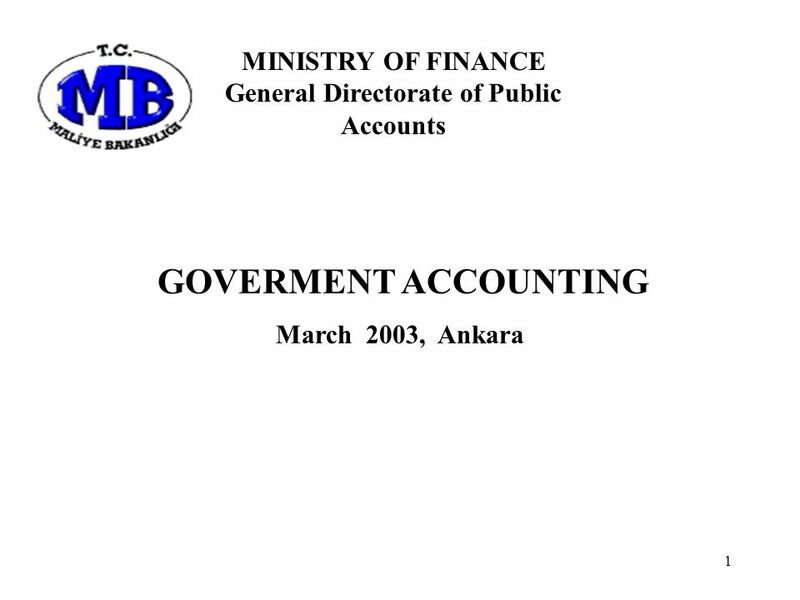 1 GOVERMENT ACCOUNTING March 2003, Ankara MINISTRY OF FINANCE General Directorate of Public Accounts. 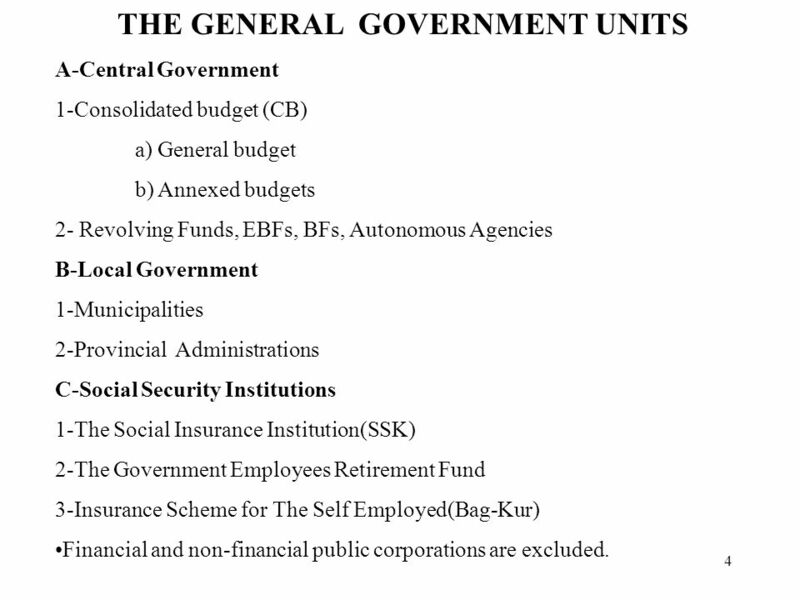 4 4 THE GENERAL GOVERNMENT UNITS A-Central Government 1-Consolidated budget (CB) a) General budget b) Annexed budgets 2- Revolving Funds, EBFs, BFs, Autonomous Agencies B-Local Government 1-Municipalities 2-Provincial Administrations C-Social Security Institutions 1-The Social Insurance Institution(SSK) 2-The Government Employees Retirement Fund 3-Insurance Scheme for The Self Employed(Bag-Kur) Financial and non-financial public corporations are excluded. 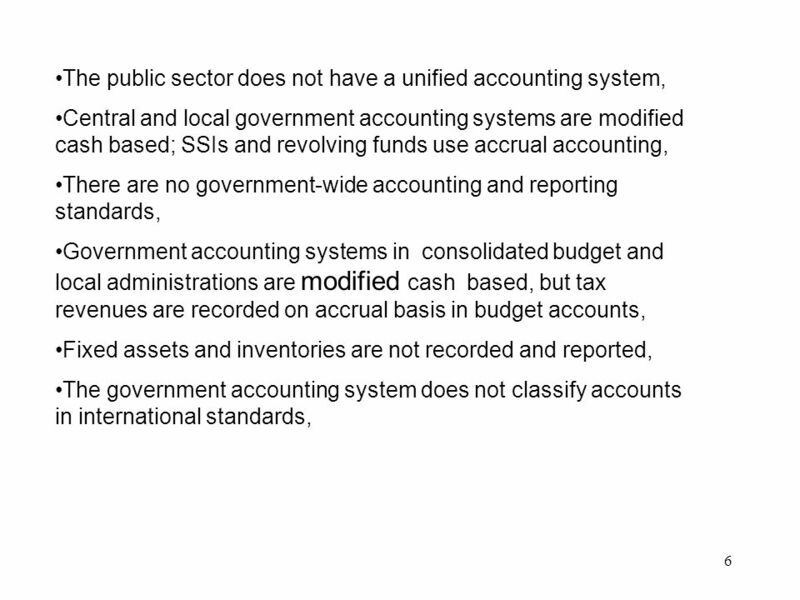 7 7 Continue: Accounting system does not produce financial statements, Ministry of Finance produces and reports detailed information on budgetary transactions from out of accounting records, but there is a classification problem. 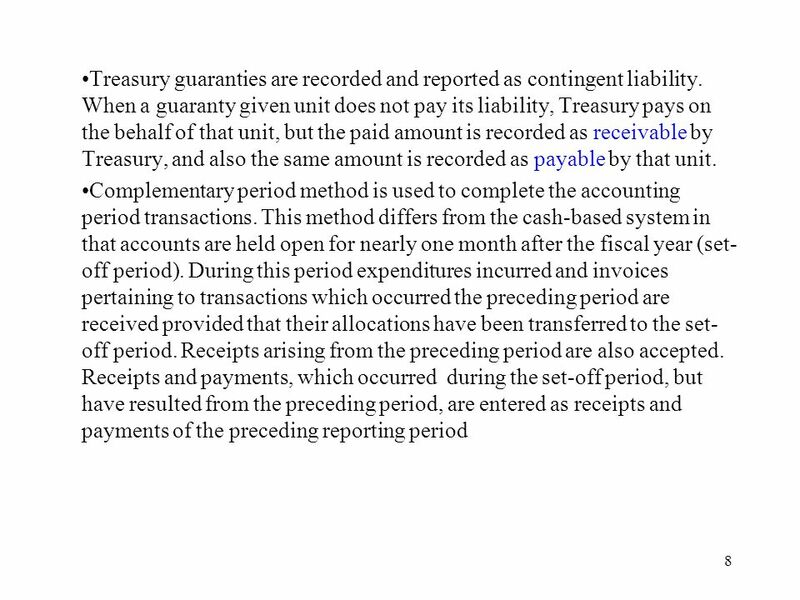 C ommitments are not recorded and reported. 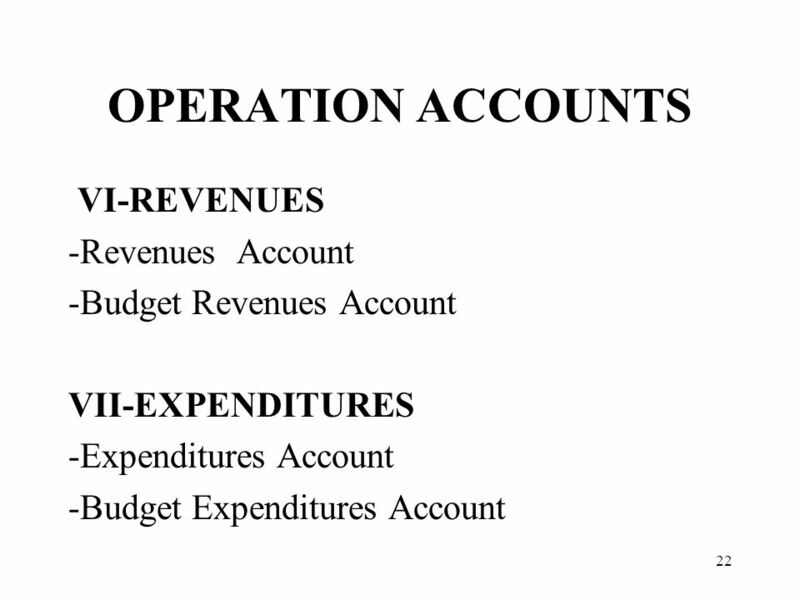 Transfers to the local administrations are deducted from budget revenues. 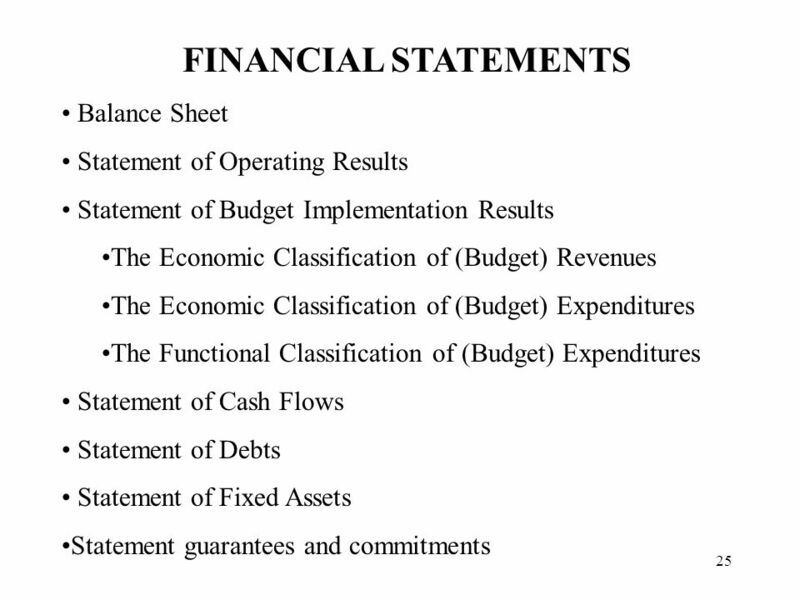 Accrued budget expenses are not recorded and reported, The existing accounting system is mostly focused on the cash budget. 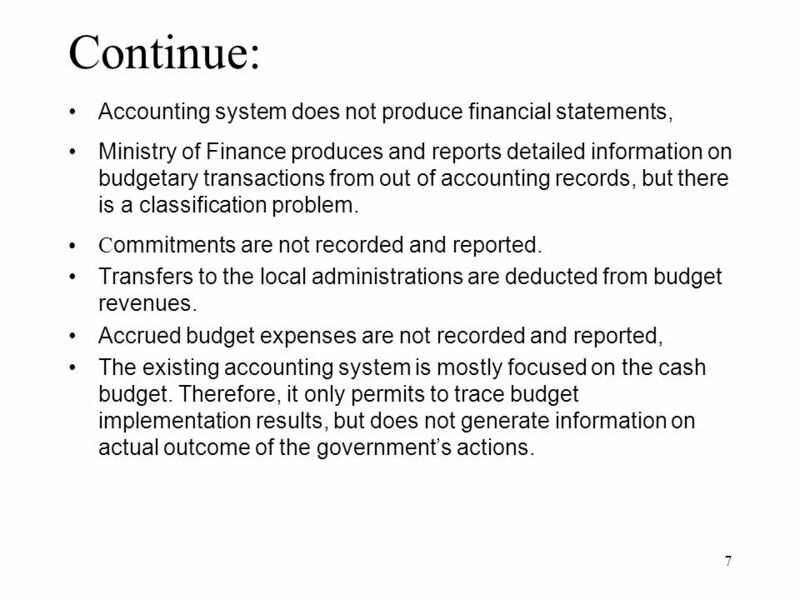 Therefore, it only permits to trace budget implementation results, but does not generate information on actual outcome of the governments actions. 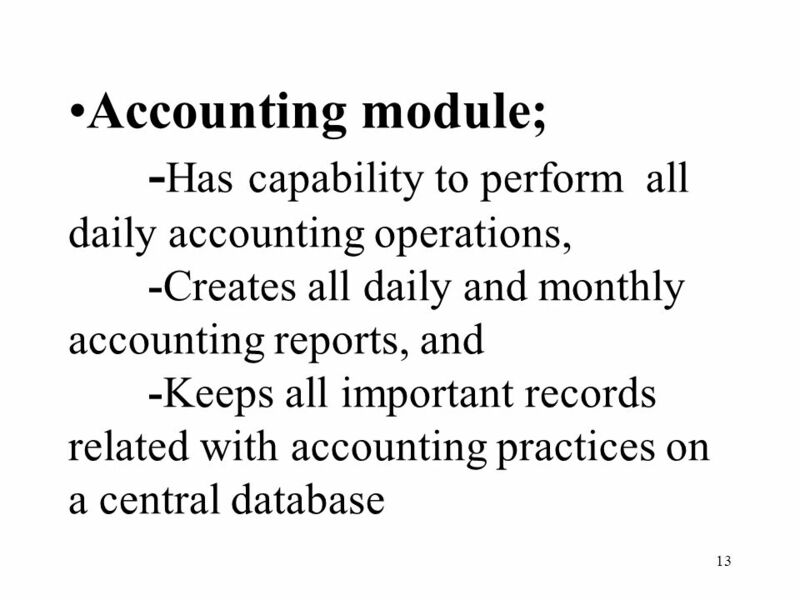 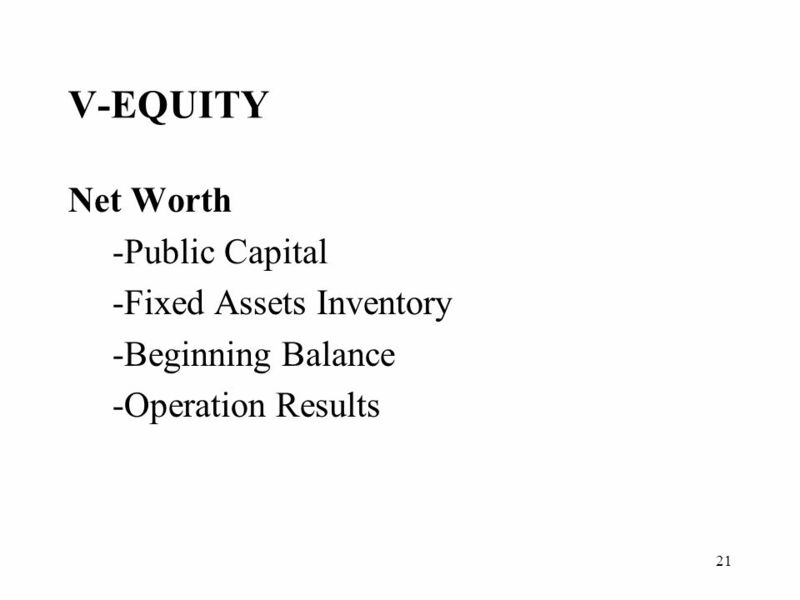 9 9 Management of Accounting System: In total, There are 1636 Accounting Offices in CB. 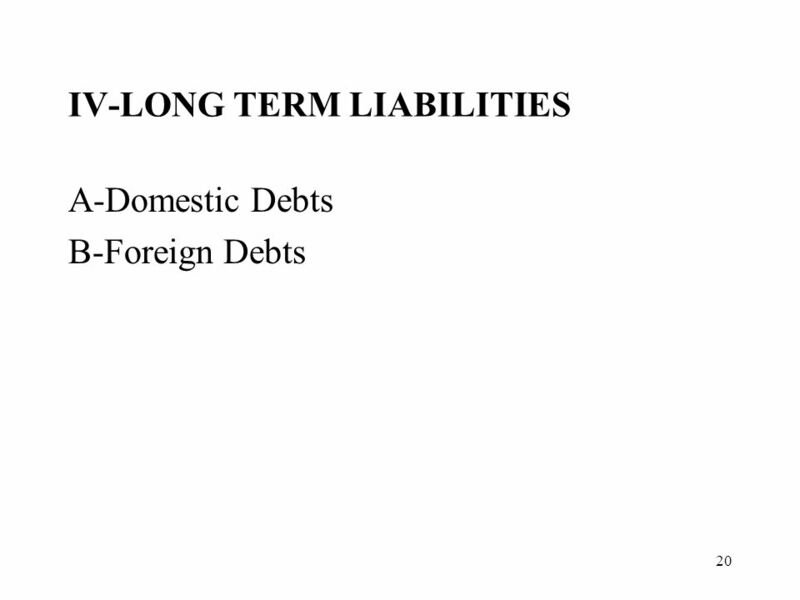 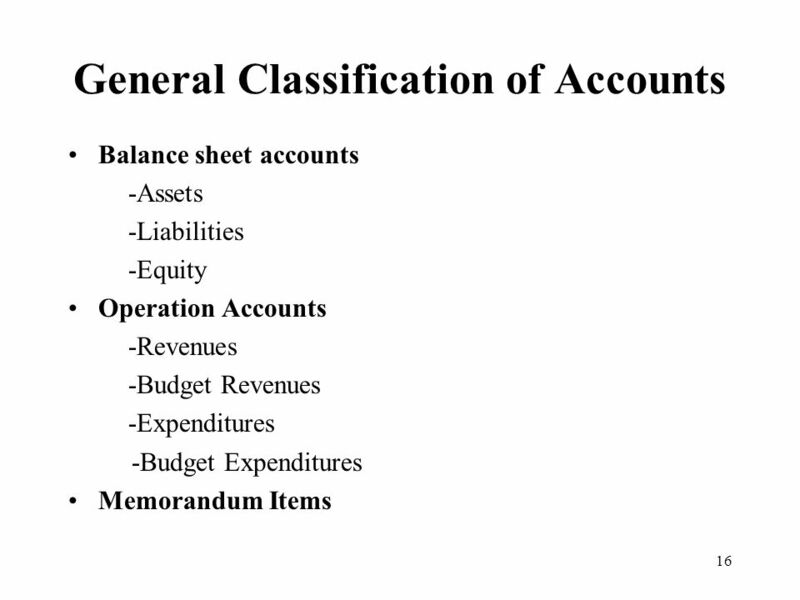 All accounting offices are depended on MoF, except 3 Treasury AOs. 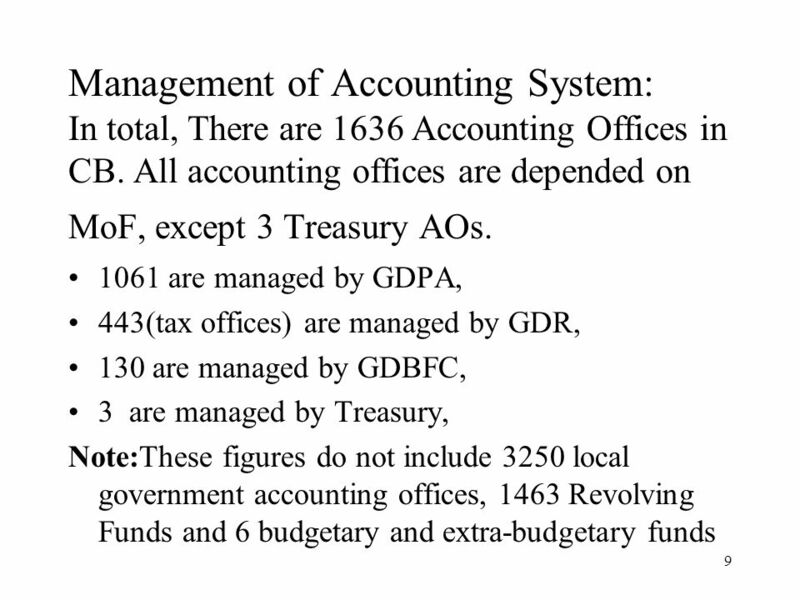 1061 are managed by GDPA, 443(tax offices) are managed by GDR, 130 are managed by GDBFC, 3 are managed by Treasury, Note:These figures do not include 3250 local government accounting offices, 1463 Revolving Funds and 6 budgetary and extra-budgetary funds. 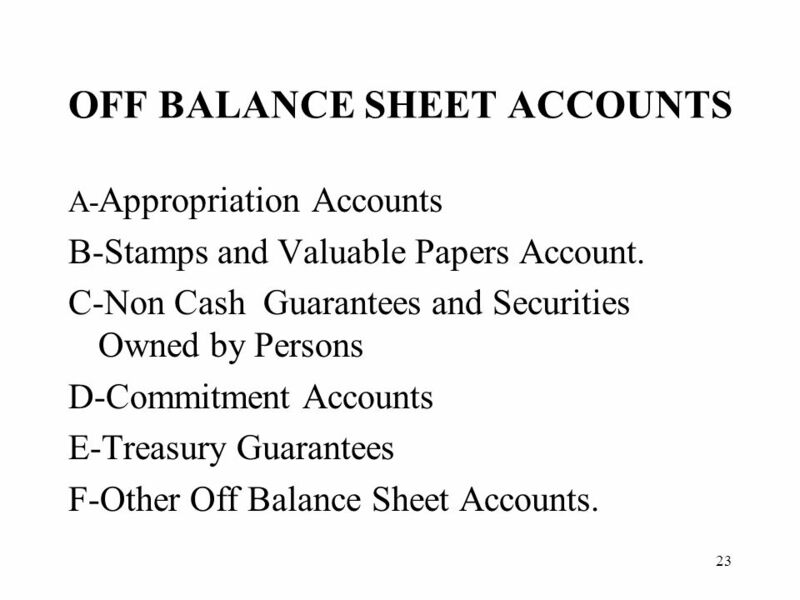 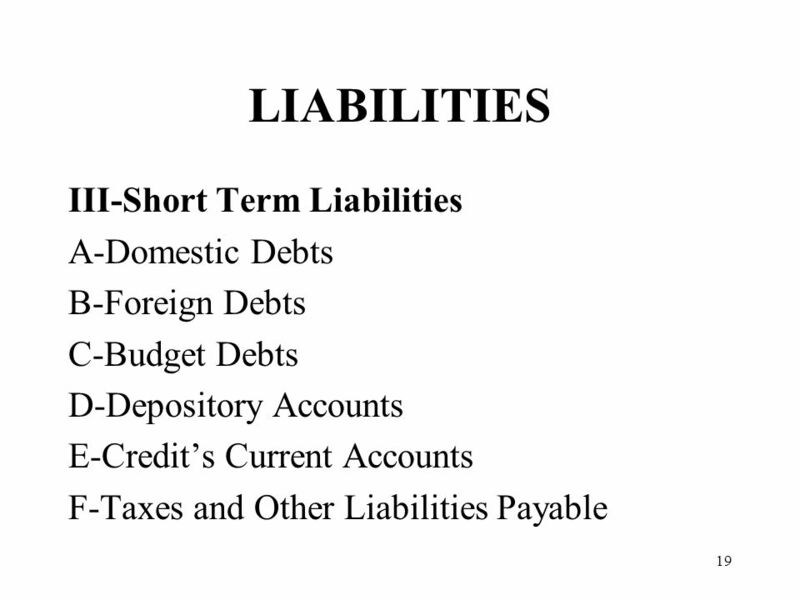 23 23 OFF BALANCE SHEET ACCOUNTS A- Appropriation Accounts B-Stamps and Valuable Papers Account. 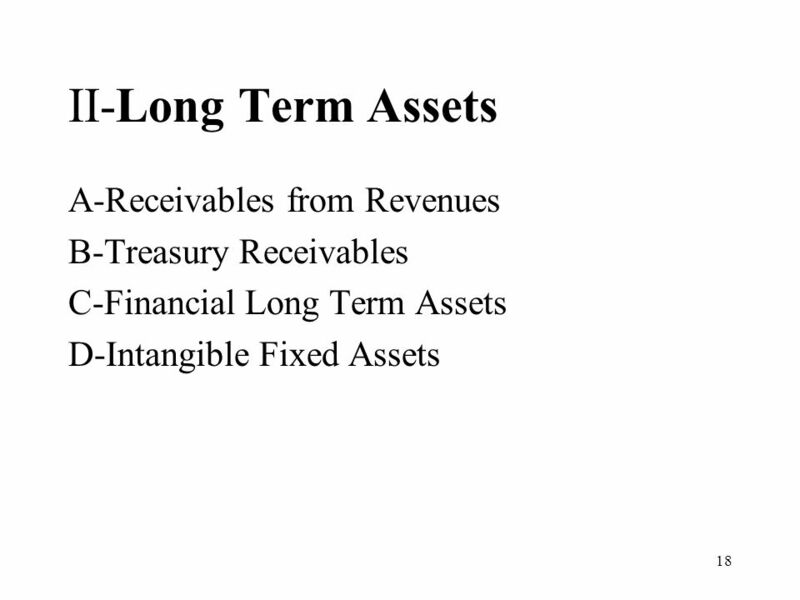 C-Non Cash Guarantees and Securities Owned by Persons D-Commitment Accounts E-Treasury Guarantees F-Other Off Balance Sheet Accounts. 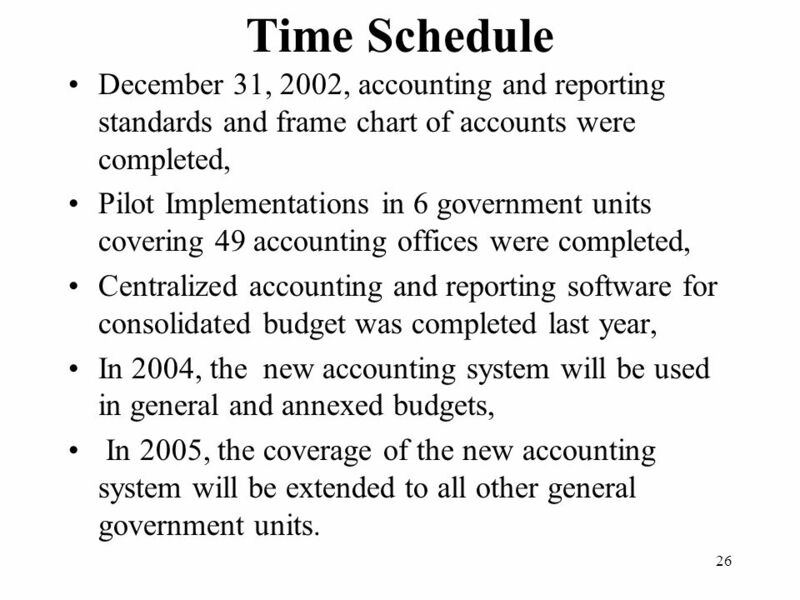 26 26 Time Schedule December 31, 2002, accounting and reporting standards and frame chart of accounts were completed, Pilot Implementations in 6 government units covering 49 accounting offices were completed, Centralized accounting and reporting software for consolidated budget was completed last year, In 2004, the new accounting system will be used in general and annexed budgets, In 2005, the coverage of the new accounting system will be extended to all other general government units. 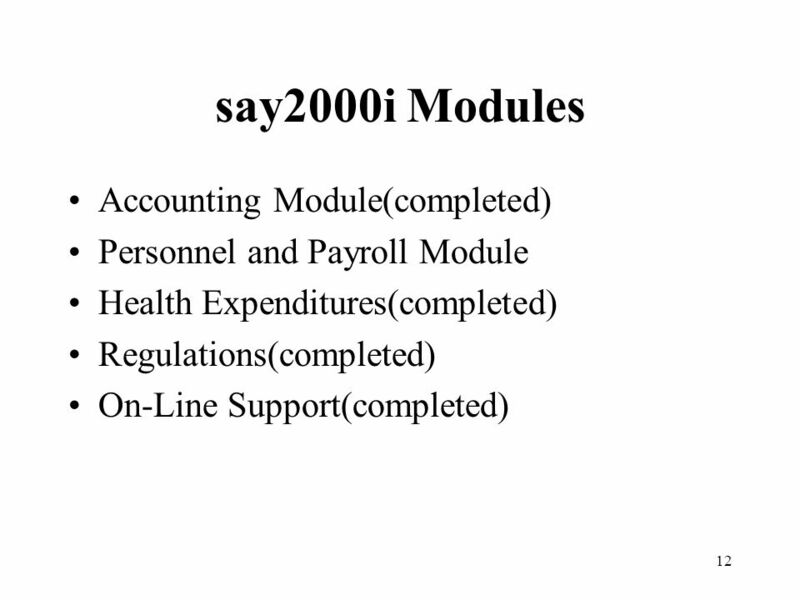 27 27 Transforming accounting data to statistical data First, produce consolidated accounting reports in the software for GG sector. 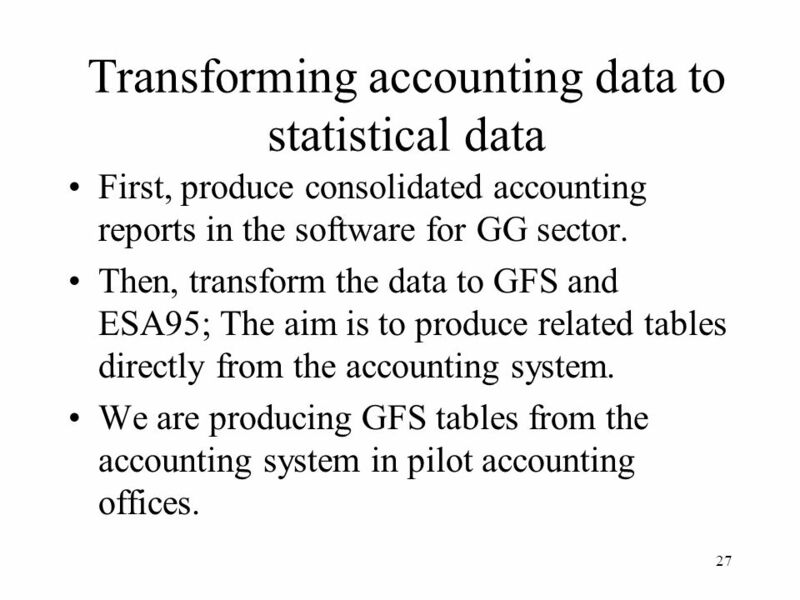 Then, transform the data to GFS and ESA95; The aim is to produce related tables directly from the accounting system. 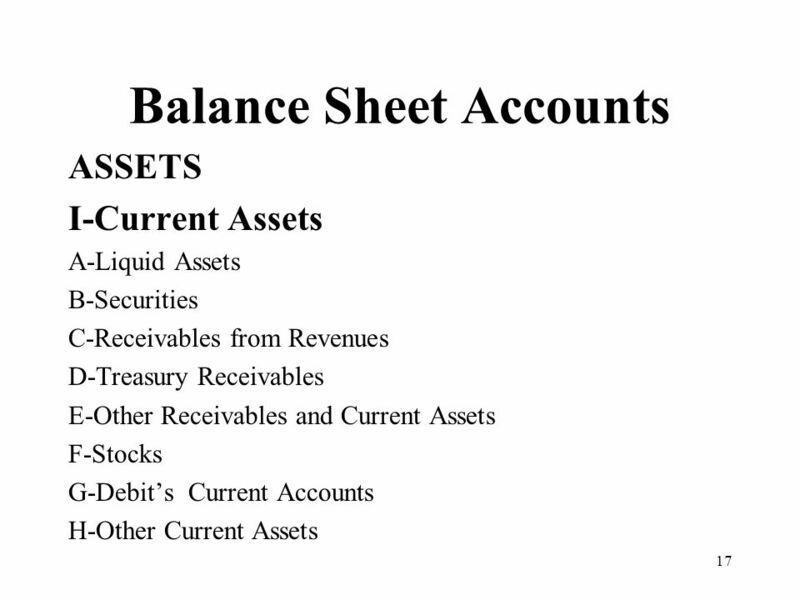 We are producing GFS tables from the accounting system in pilot accounting offices. 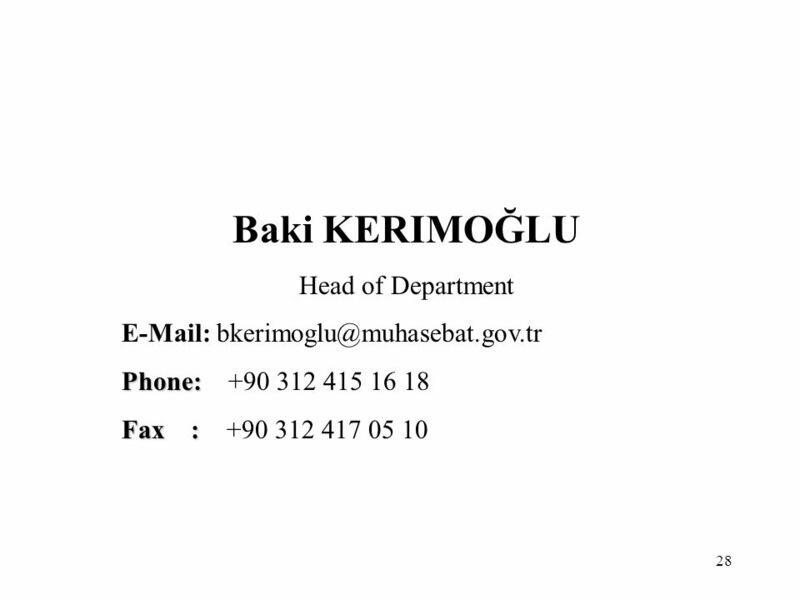 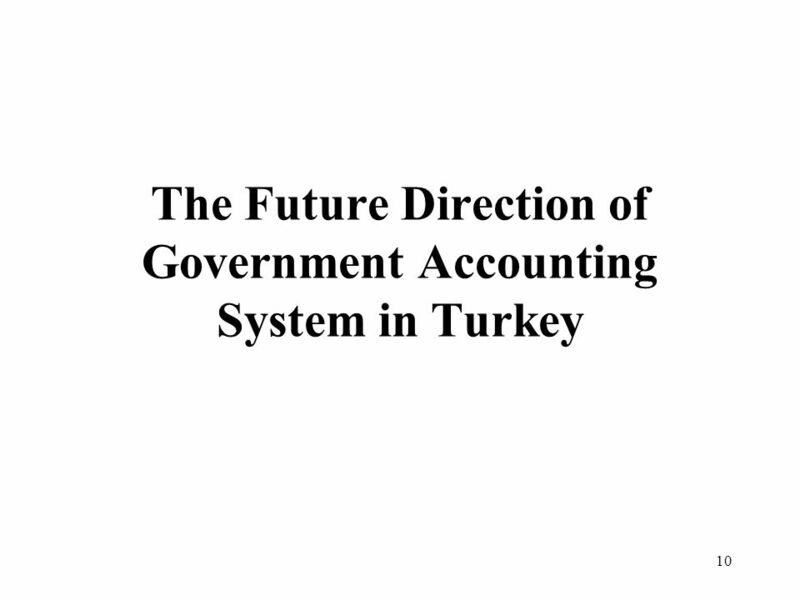 Download ppt "1 GOVERMENT ACCOUNTING March 2003, Ankara MINISTRY OF FINANCE General Directorate of Public Accounts." 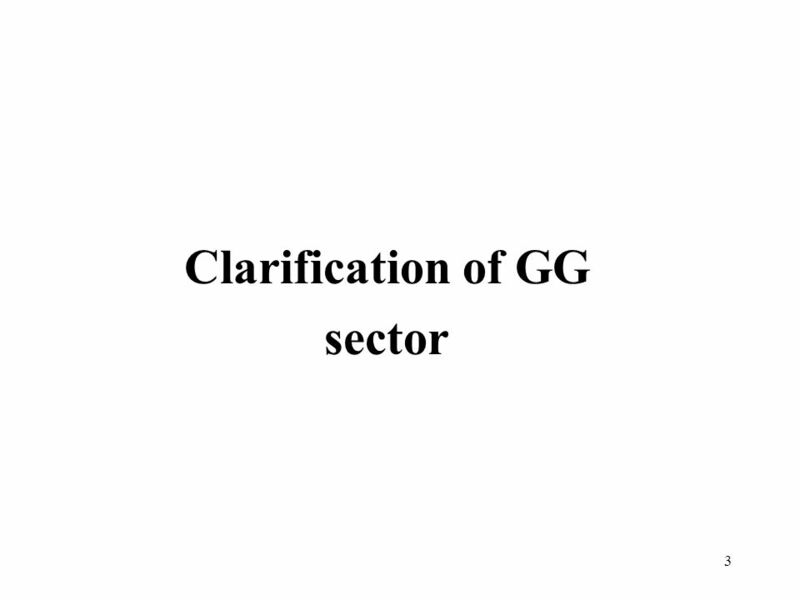 Pension Funds Workshop The Pension System in Chile Claudia Maisto Statistics Division Macroeconomics Statistics Area Institutional National Accounts Department. 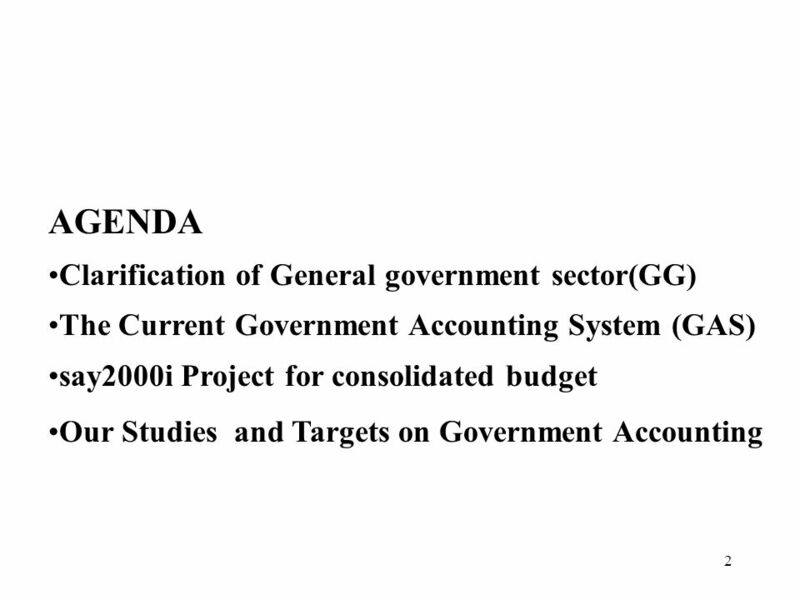 Treatment of social insurance schemes in the 2008 SNA Regional Seminar on Developing a Programme for the Implementation of the 2008 SNA and Supporting. 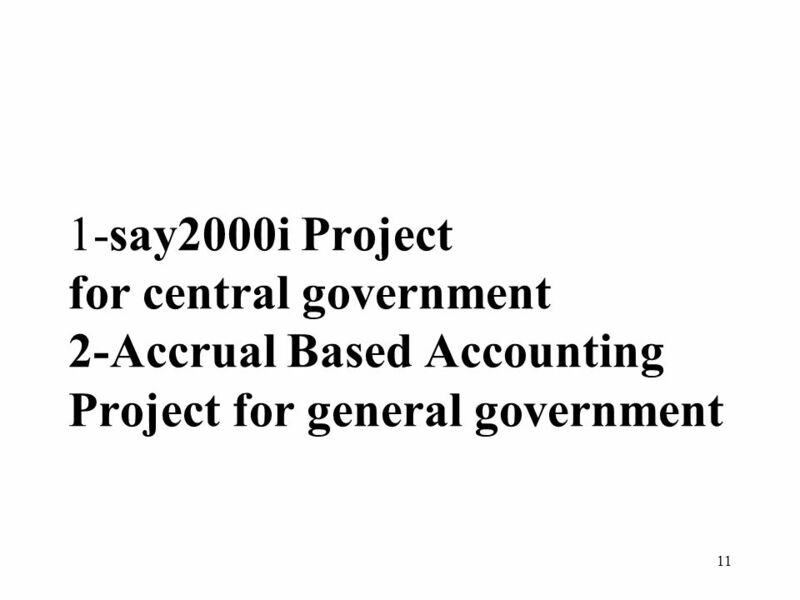 National Seminar on Developing a Program for the Implementation of the 2008 SNA and Supporting Statistics in Turkey Mahir ADANIR Mustafa SUYABATMAZ 10. 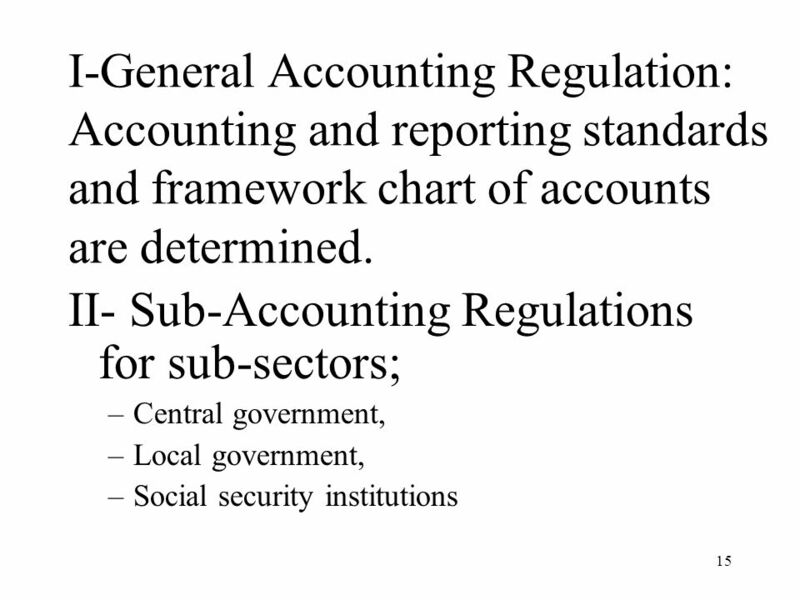 Orientation Session on International Public Sector Accounting Standards (IPSAS) September 1, 2009. 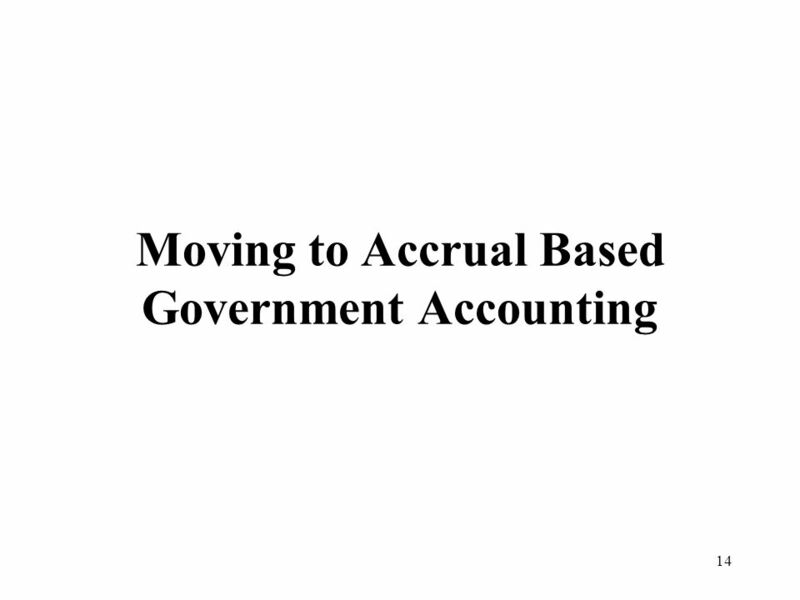 McGraw-Hill/Irwin Copyright © 2009 by The McGraw-Hill Companies, Inc. All rights reserved. 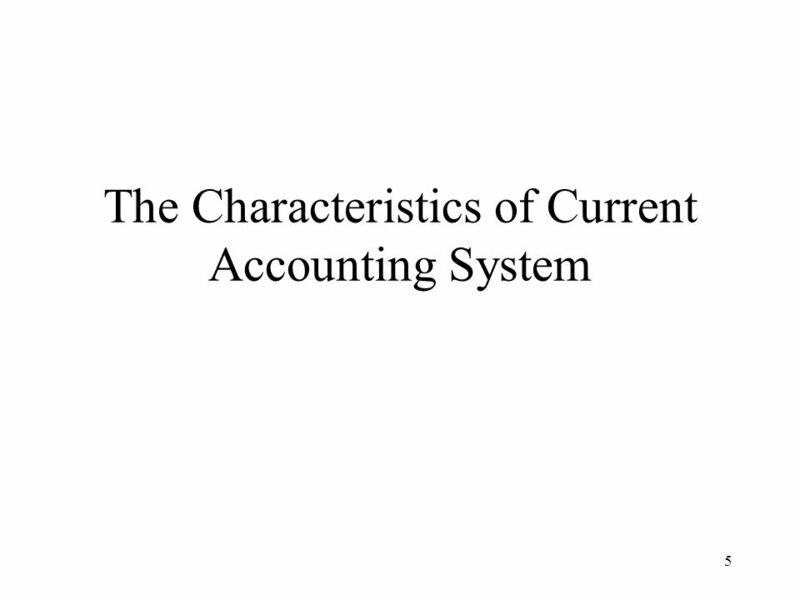 Chapter 8 Purchasing/ Human Resources/ Payment Process: Recording. 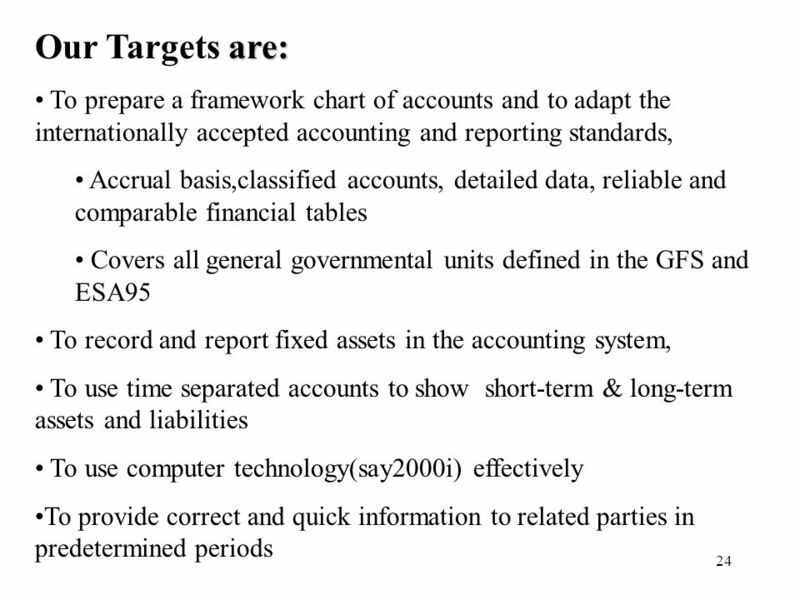 1 The PEFA Program – and the PFM Performance Measurement Framework Washington DC, May 1, 2008 Bill Dorotinsky IMF.